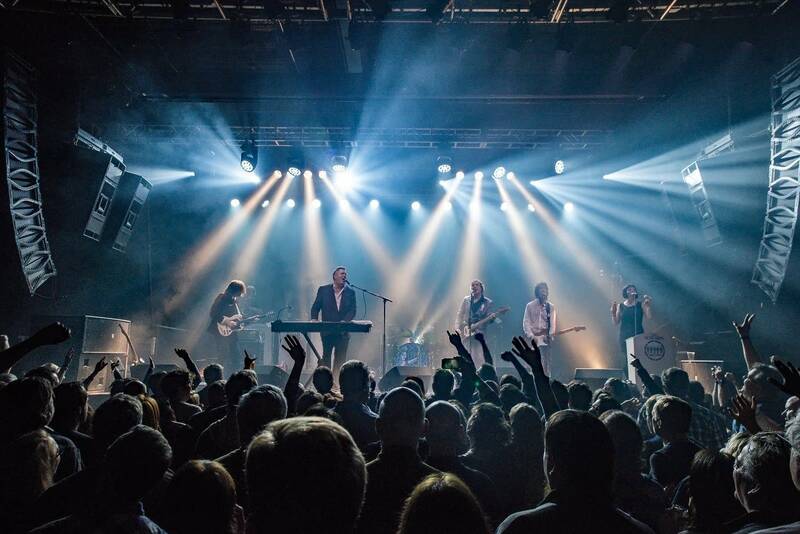 The Suburbs are performing at First Avenue on Friday Jan. 18 for The Current's 14th Birthday Party. Ahead of Friday night's concert, keyboardist/singer Chan Poling and drummer Hugo Klaers joined Brian Oake and Jill Riley to talk about the Suburbs' new lineup, and recording new versions of the band's songs. Founding members Chan Poling and Hugo Klaers have been with the Suburbs since the band's conception in 1977. Since then, the lineup has retained some longtime members like saxophonist Max Ray, while adding newcomers. Now, the Suburbs have rounded out their roster with Stevie Brantseg and Jeremy Ylvisaker on guitars, Steve Price on bass, Janey Winterbauer on backup vocals, Rochelle Becker on baritone sax and Stephen Kung on horns and keys. While the band haven't released a studio album since 2017's Hey Muse!, the Suburbs' expanded roster of musicians has inspired them to record new versions of previously released songs. "The old songs live now are sounding so good — if I may say so — that we thought, 'We should get that band in to record some stuff,'" said Poling. In May, the Suburbs released a limited edition vinyl 45 that features re-recorded versions of two songs from the early '80s: "Cows" and "Baby Heartbeat." Jill Riley pointed out that "Baby Heartbeat" is the only Suburbs song in which Klaers sings lead vocals. "It's the only song I ever sang," Klaers affirmed. "And it's the only song I ever will sing." Klaers and Poling reminisced about writing "Cows" in their downtown Minneapolis studio after a night out. Poling played the song for Klaers on bass, and Klaers backed him up on the drums. "Cows" is one of the Suburbs' oldest songs — it was released on the band's 1980 debut album In Combo — and still remains in the Suburbs' rotation for live shows. "I actually love playing it," Poling said about "Cows." "And I like playing the old stuff a lot. There was a time where I was like, 'I can't do all that old stuff, I only have to do new stuff.' But I just love it." Poling and Klaers told Oake and Riley that in addition to old material, the Suburbs will be premiering a new song on Friday night. "We are actually going to do a brand new song that we've only played once before in rehearsal," said Poling. "It's a punky little simple thing, so hopefully no one will forget it by tomorrow, right?" "This is one of the most simplified songs Chan has come up with," Klaers added. "It's just a nice groove; there are no big bridges or anything like that." Premiere: The Suburbs revisit 'Cows' Take a first listen to the Suburbs' new remake of their own 1980 song 'Cows' - and enter for a chance to see them perform live at First Avenue, with a copy of their new 45. The Suburbs follow their muse in The Current's studio Having released their latest album, 'Hey Muse,' the Suburbs just completed what frontman Chan Poling describes as 'a whirlwind tour of middle America,' playing shows in Milwaukee, Chicago, Kansas City and Des Moines. Now back on home turf and gearing up for their big album-release show at First Avenue on Friday, Aug. 4, the Suburbs stopped in The Current's studio for a session hosted by Mary Lucia.